‘Back to Nature’ is a strong trend in all aspects of our modern times and it clearly shows in contemporary home architecture and design. A house in the suburbs is a hot commodity on the real estate markets nowadays because it offers more opportunities to enjoy open spaces and natural environments, without compromising on modern amenities. 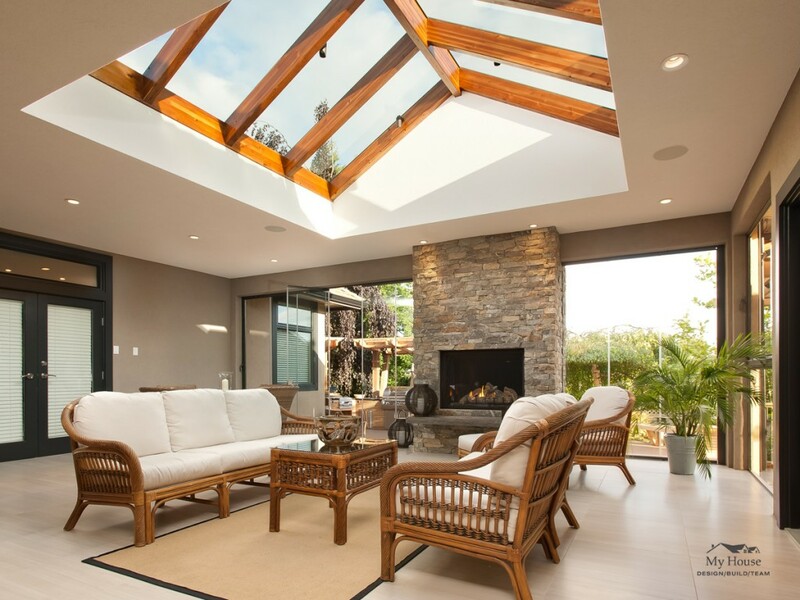 More and more home owners tend to introduce original seamless indoor-outdoor transition options in search of a closer connection with nature. Old or new, every house, with even a small plot of land, provides various interior-exterior connection opportunities. 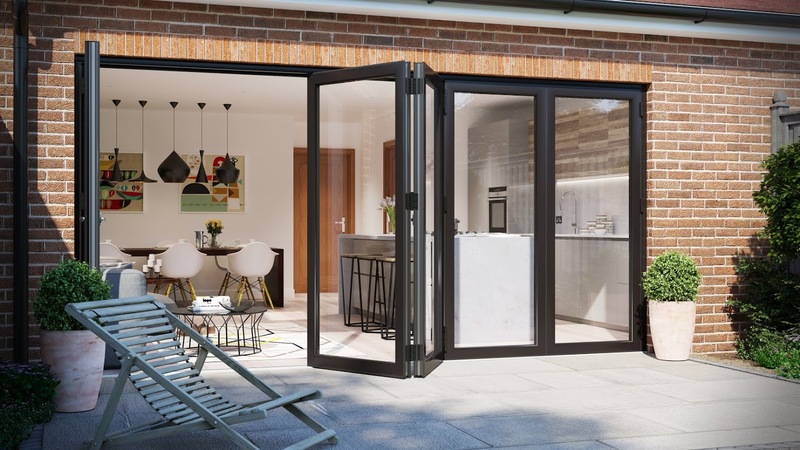 Building a transitional space between the outside and inside of the house may seem a professional designer-only job, yet there are a few tricks that can be easily implemented to achieve a beautiful and functional seamless indoor-outdoor transition. The greatest feature any house may offer is the opportunity of having a porch, a deck or a patio (or even all three!). The difference between these architectural elements is not that much distinguishable. The important thing is that these are areas meant to extend and enlarge the house interior living space. There are many smart ways to use these for creating a smooth ‘flow’ of the interior into the exterior. Backyard plots, for example, offer excellent opportunities for building public and private outdoor living areas. 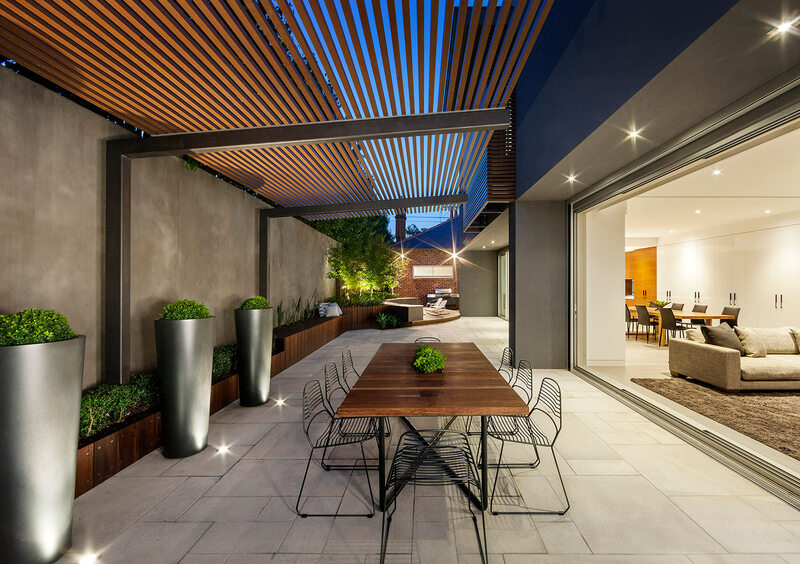 Be it a secluded off-bedroom en-suite private garden or a family gathering open-air dining deck, these can be incorporated in and made to extend the interior space by applying various architectural tricks. One of the top popular trends in contemporary indoor/outdoor living design is bringing parts of the interior outside. To achieve a smooth and beautiful seamless indoor-outdoor transition for an en-suite bathroom, for example, it would be great to place the bathtub-shower complex out on an open-air deck, and build around it a private courtyard covered by a pergola or a glass roof, yet still allowing close contact with the outdoor environment. 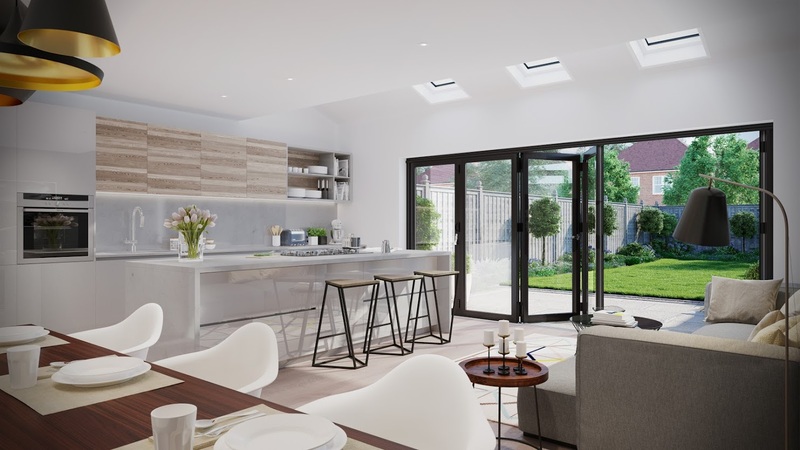 Another example would be to open up indoor public spaces like the living room, the dining room or the kitchen, by bringing out in the open entire sets of the interior composition or by complementing those. External BBQ-s, kitchen worktops and even kitchen islands, a patio bar, a relaxing lounge furniture set …. 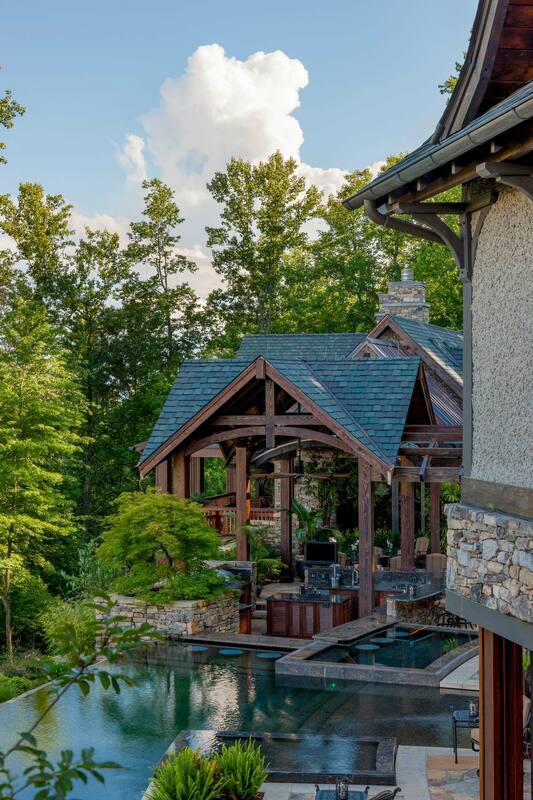 Move the party outside, just like ACM Design did! Another thing to consider here is creating a smart protection of such open living areas against the elements of nature. Pergolas, vaulted ceilings, louvered panels, retractable panels and even motorized glass panels can allow a lot of natural light and fresh air, while still protecting from rain, strong wind and other vagaries of weather. In order to achieve a smooth indoor-outdoor transition it is necessary to ‘blur’ the line between the inside and outside of the house. One of the easiest, yet most successful ways to do it is to continue the indoor flooring outdoors, or at least match the flooring in materials, style and color for a seamless effect. Another technique would be to create long lines of sight for achieving the optical illusion of a much larger space. This can be simply done by eliminating inside-outside floor level variations. In other words, when possible, try to level the inside and outside floors, avoiding any steps in between. In order to open up the interior to the outdoor environment you need to let in the outdoor light and views as much as possible. What better option for this than to use glass and mirror surfaces, structures and architectural elements?! Glass and mirrors will do a perfect ‘job’ of streaming natural light in and providing open views towards the exterior. Furthermore, they have the amazing ability to visually amplify the space, making it look bigger, longer and larger. Therefore, glass and mirrors are top options for achieving an infinite indoor-outdoor transition. As we mentioned above, one of the top trends in house architecture is to blur the inside-outside borders by replacing large portions of the building’s solid walls with glass elements, be it large French windows, full-height corner windows, floor-to-ceiling sliding or folding openable glass panels, or entire glass walls. These open up the interior to the light and views of the outdoor natural environment and allow an intimate relation and contact with natural surroundings. The best thing about it is that such elements can be successfully introduced indoors, too. 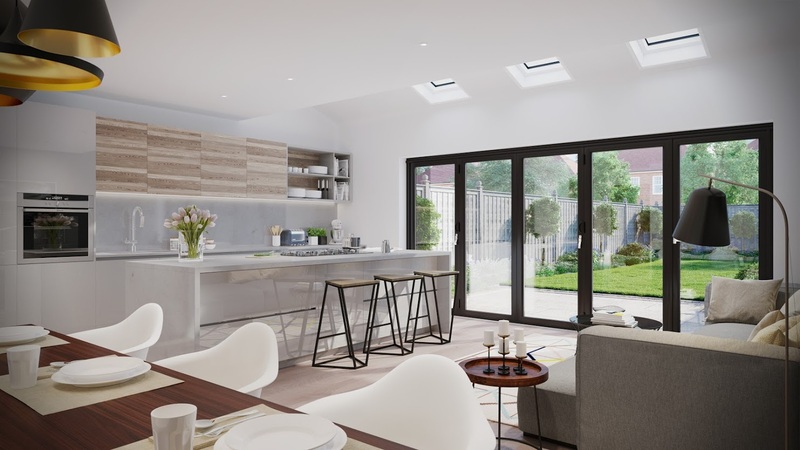 The large horizontal glazing panels of ceiling/roof skylights will illuminate darker areas of the interior and will create an exciting feeling of living ‘under open skies’. Once the inside-outside borders have been eliminated, there are a few more tricks you can use in order to produce a seamless transition between spaces. One of them is to repeat or echo interior design elements in the exterior and vice versa. This will create the same mood, feeling and ambiance on both sides of the ‘border’ and will eventually create one whole continuous comfortable and cozy place instead of two separate ones. The same wall cladding, continuous or matching flooring, furniture of the same or matching design – these are but a few of the design elements which can be shared between both spaces. In addition, the inside-outside design transition can be successfully and beautifully achieved through introducing decorative elements common for both inside and outside areas, such as vases with fresh flowers from the garden, same or matching style coffee tables and chairs, plush puffs, throw pillows, carpets and rugs and draperies of matching patterns and colors. The entire idea of creating seamless indoor-outdoor transition is to enjoy a closer contact with the freshness and serenity of the outdoor space. The lush greenery and the cheerful flamboyance of the lawns and gardens around the house need to be admired as much as possible, even when you’re inside, which is an excellent incentive to create flow with greenery. This is not difficult to achieve. With some guidance and professional advice from your gardener or landscaper, you can extend and continue the outdoor gardens to the inside of the house through introducing the same or similar vegetation as potted plants. Not only the pots themselves are already serving as shareable elements for both sides but, if placed on rolling stands, they can also be easily moved and rearranged around as needed. 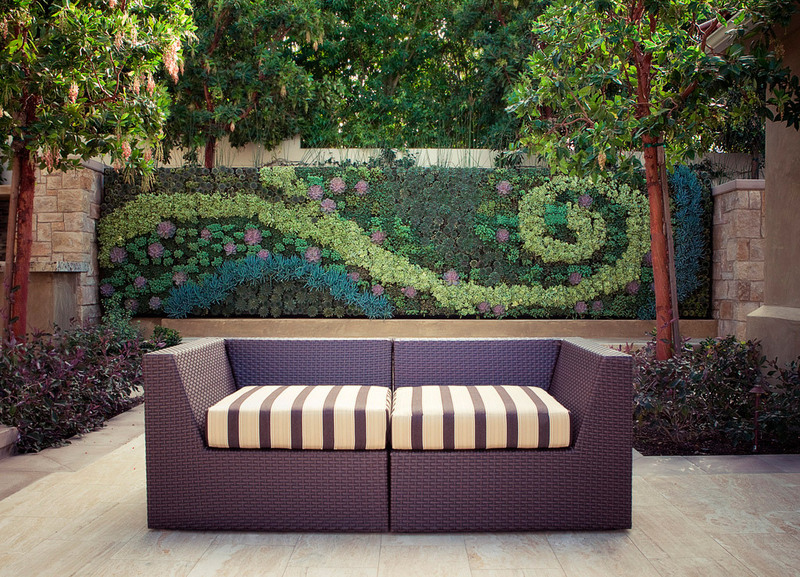 Natural greenery provides also excellent options for creating privacy for the outdoor living spaces. Trees, shrubs and flower bushes can build beautiful living fences pleasing the eyes and allowing the residents to enjoy the outdoor space undisturbed. Creating a focal point outside is a smart visual trick aimed at creating seamless transitions between interior and exterior living spaces. Such an element can be a nice piece of sculpture, a little romantic fountain, or even a landscaping design piece. It draws the attention and the eyes focus on the exterior, which expands the lines of vision towards outdoors and creates the optical illusion of a larger space when you are inside. Lighting is essential not only for the interior but for the exterior, too. 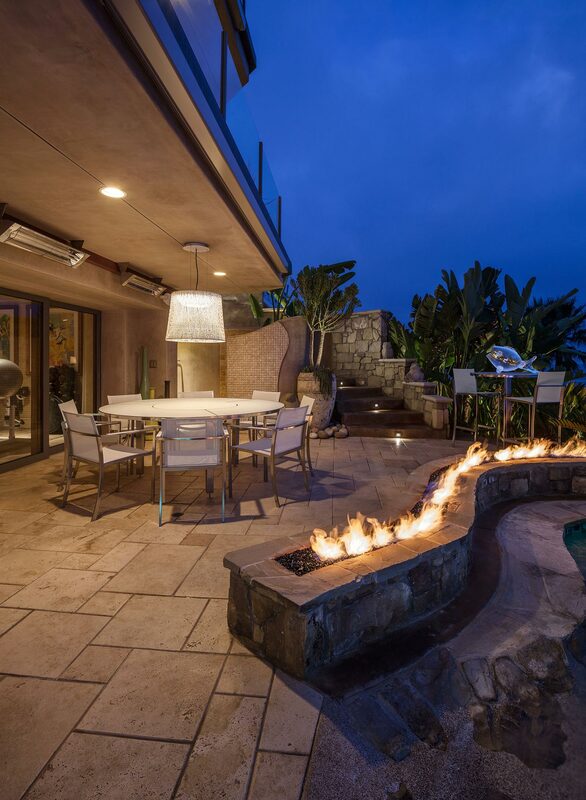 Proper lighting can make the exterior living spaces look and feel as cozy and inviting as the interior of the house. Little twinkling or steady lights can serve to both decorate outdoor elements as well as provide enough light to illuminate particular parts of the space for you to enjoy the quiet evenings outside. Down-lighting mounted in trees, on the pergola lattice and pillars, or in the eaves of your home not only spreads a gentle ‘moonlight’ around, but also forms intriguing dappled light shadows creating a romantic ambiance. 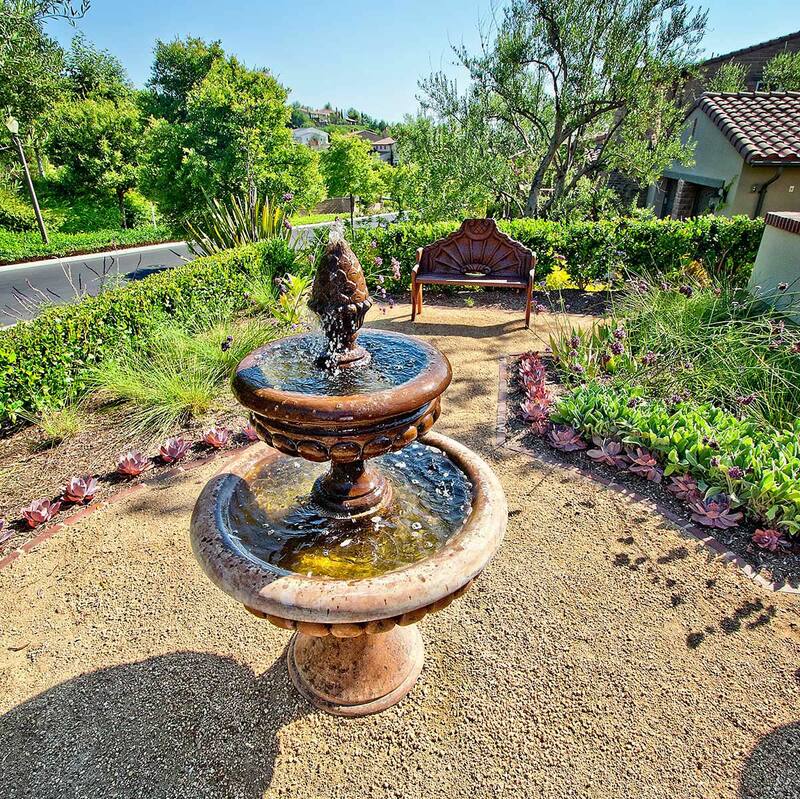 Lit torches along the garden alleys and the living fences, matched with decorative lanterns scattered on the open deck and the inside living space, provide magical beauty to the entire environment. Standing and hanging lighting fixtures of matching design can be placed on both sides of the indoor-outside border for further seamless connection between these spaces. In-built lights mounted on floors and ceilings extended from inside outside add yet more sense of continuity and cozy feel. Whether you are inside or outside, landscape lighting blurs the borders and allows you to enjoy the beauty of the entire space. Architectural and design indoor-outdoor connections offer many advantages, including increased living space and a close relationship with nature that you can enjoy all year round.